Very nice, always great to be recognized for work well done. It is nice to be publicly recognized and in front of so many colleagues and their families! Was a nice ceremony. 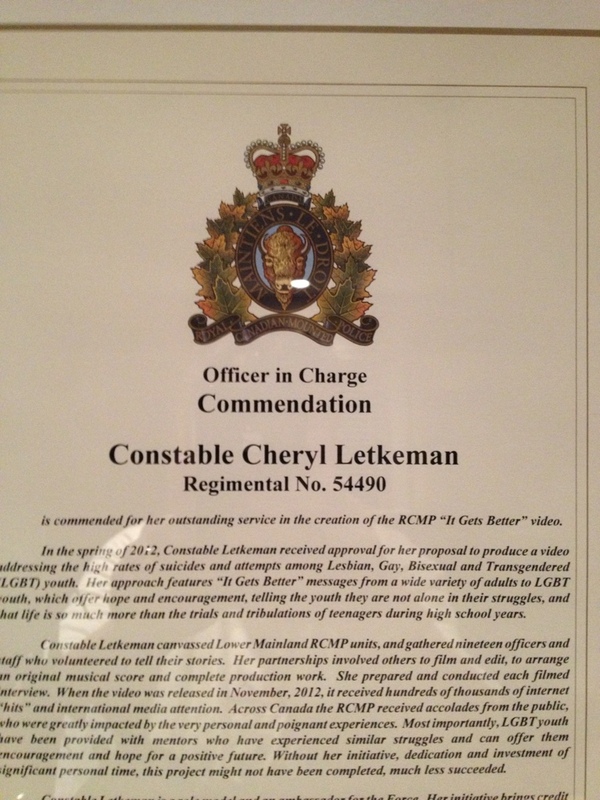 Congratulations to Cheryl, and grateful thanks to her and her colleagues for their contributions to support LGBTQ youth. The RCMP had to back this project and it says A LOT that they had no reservations! Awesome! Great job to all of you who were involved. Cheryl, You have made a difference. I think she has too…as well as all the participants and the RCMP! Thanks!